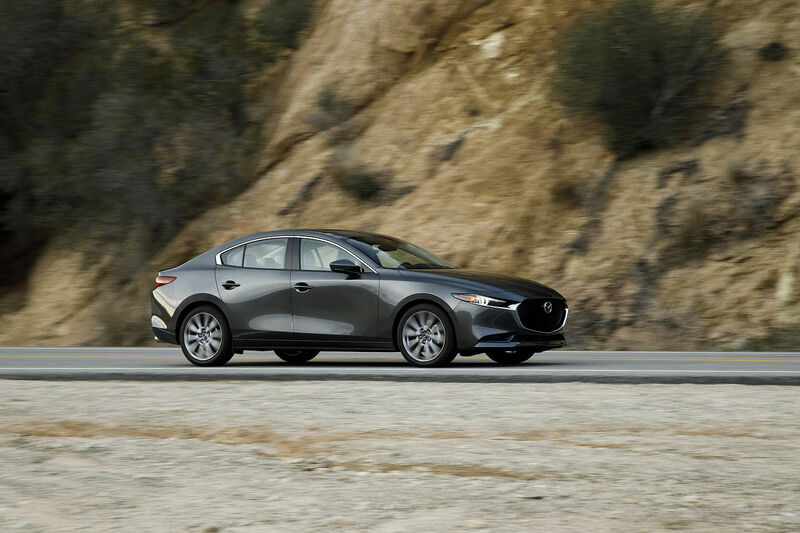 Introduced at the last Los Angeles Auto Show, the new 2019 Mazda3 is the latest new compact to hit the market this year and immediately it has to face some tough competition that includes the 2019 Honda Civic. The Civic is the best-selling car in Canada and so it’s definitely doing something right. On the other hand, the new Mazda3 seems to perfectly understand what Canadian buyers want with its new features that include an available heated steering wheel and available all-wheel drive. No other compact sedan except one offers all-wheel drive. The Civic doesn’t have AWD and for many buyers, that’s the differentiating factor. Before looking into the 2019 Mazda3’s i-ACTIV all-wheel drive system, let’s look at the its engine options. Both the Mazda3 and the 2019 Civic offers two engine starting with a 2.0-liter, four-cylinder. The Civic’s 2.0-liter offers 158 horsepower and 138 pound-feet of torque while the 2019 Mazda3’s engine offers 155 horsepower and 150 pound-feet of torque. On paper both engines have basically the same power, but the superior torque of the new Mazda3 means the car feels faster in most driving situation. On a track horsepower matters more, but you probably won’t be using your Mazda3 or Honda Civic on a track. When it comes to passing on a highway or accelerating from a red light, the new Mazda3’s higher torque means a quicker feeling and getting off the line faster. 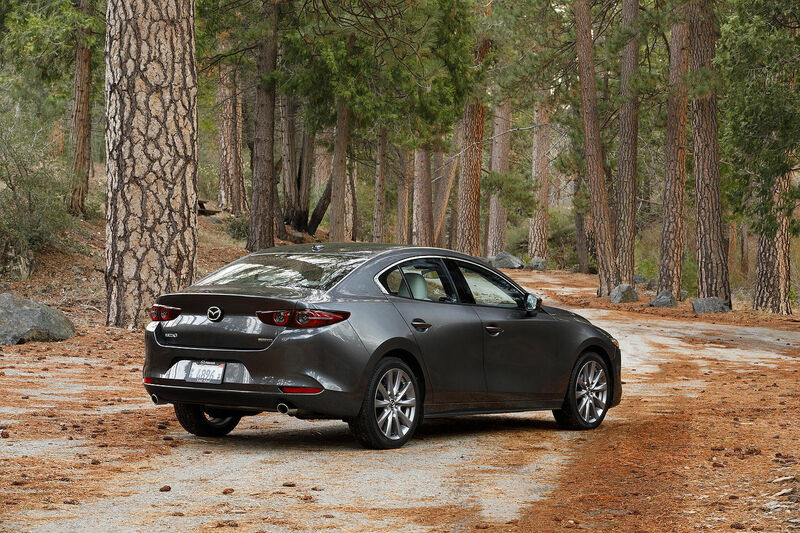 It means that when you pass, you’ll feel more confident with the Mazda3’s SKYACTIV engine. 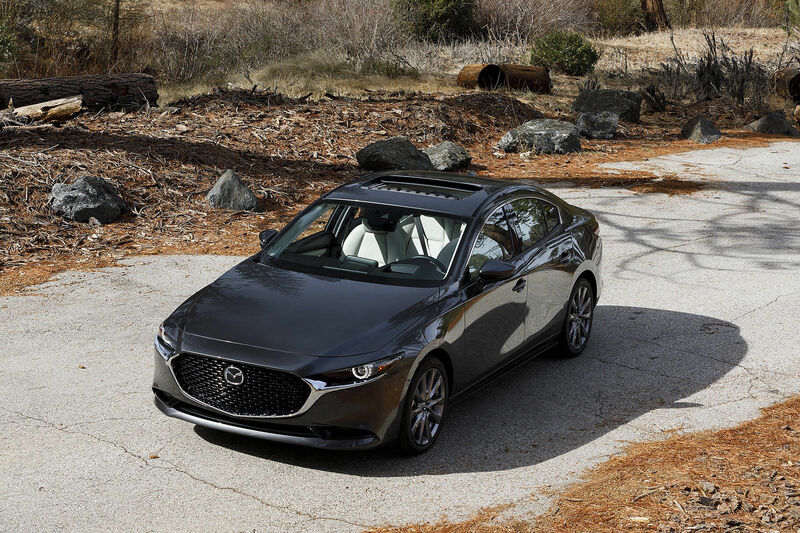 The other engine option is a 2.5-liter four-cylinder engine in the 2019 Mazda3 with 186 horsepower and 186 pound-feet of torque. The Honda Civic gets an optional 1.5-liter turbo with 174 horsepower and 162 pound-feet of torque. In this case, the Mazda3 is both faster on paper and faster in real life. The major difference between the Civic and the Mazda3 isn’t under the hood, it’s under the body. As mentioned previously, the 2019 Mazda3 is offered with AWD starting at $26,000. You can also get AWD in the Mazda3 Sport hatchback for $27,000. 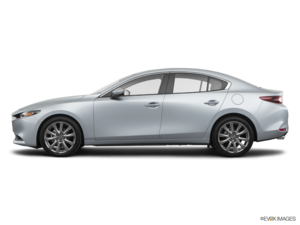 The 2019 Mazda3 with AWD comes only with the 186-horsepower engine, making it the most powerful AWD compact sedan you get today in this price range.